Took a Dremel cut off wheel to some keycaps. The goal was to make them smaller (narrower) so that they could be used on switches that were closer together than the normal 19.05mm. The SA is really tall, DSA and G20 are the most usable. The PBT cuts much cleaner than ABS. The grey PBT look ok. They aren't as narrow as the DSA when cut like this. Need to get some fine emery boards to clean up the edges. You can see how much cleaner the PBT keycaps cut. Much less melted plastic. The dark marks are from cutting a dark keycap before a light one, the dark plastic gets on the wheel. May want to have one wheel for dark plastics and one for light colors. Cut down a larger key. Pretty much the same result. 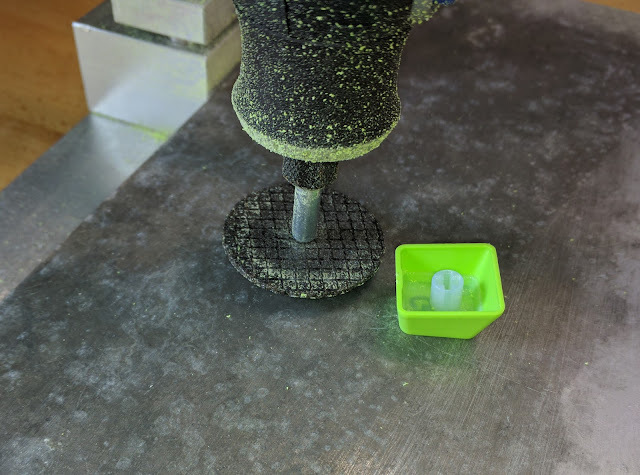 I used a Dremel mounted in a Vanda Lay drill press. Dremel also makes a drill press mount, but it is mostly plastic. This thing is all steel and aluminum. I used the standard reinforced cut off wheel. It is quite thick and meant to be used on metal. 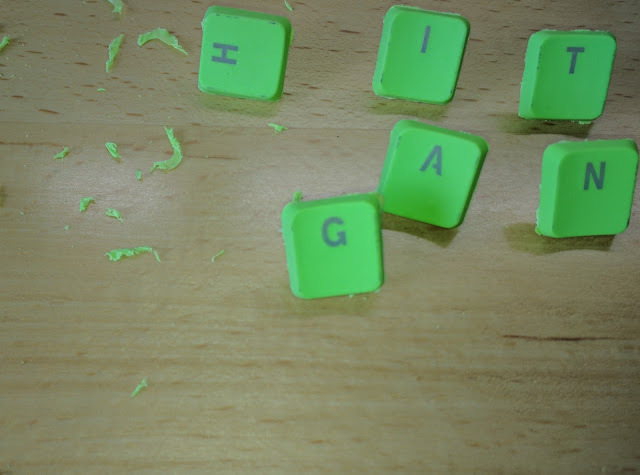 The keycap is layed flat against the table and pressed against the wheel and rotated. The Dremel is locked into place with set screws. I have ordered the Thin and Plastic EZ cutting wheels to see if they do better,. 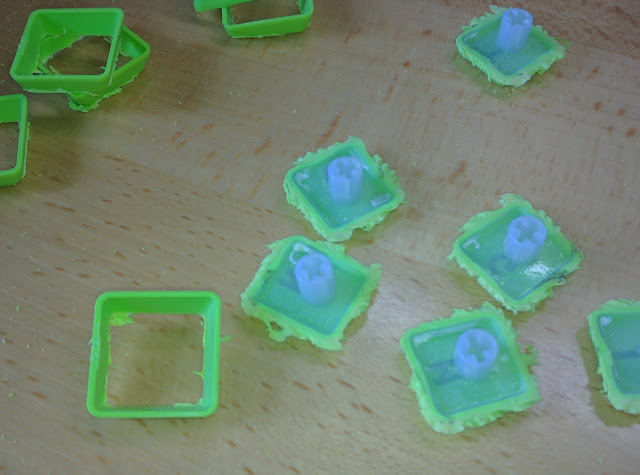 The green is PBT, but the clear is some other soft plastic that melts. My target was under 16mm square, since that is about as close as you can mount two switches. G20 looks good but is still too large. SA is too tall. So it's either DSA or OEM profile. Not all cheap OEM profile are the same though. The grey PBT are larger than the green ones.